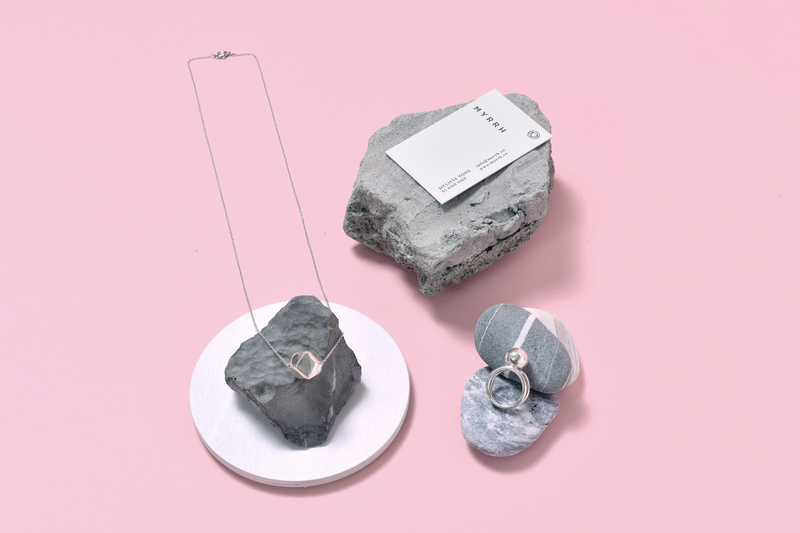 Founded in 2015, MYRRH is a jewellery label that celebrates the quiet feminine strength, choosing to represent both the intricacy and complexity of the female mind and spirit. 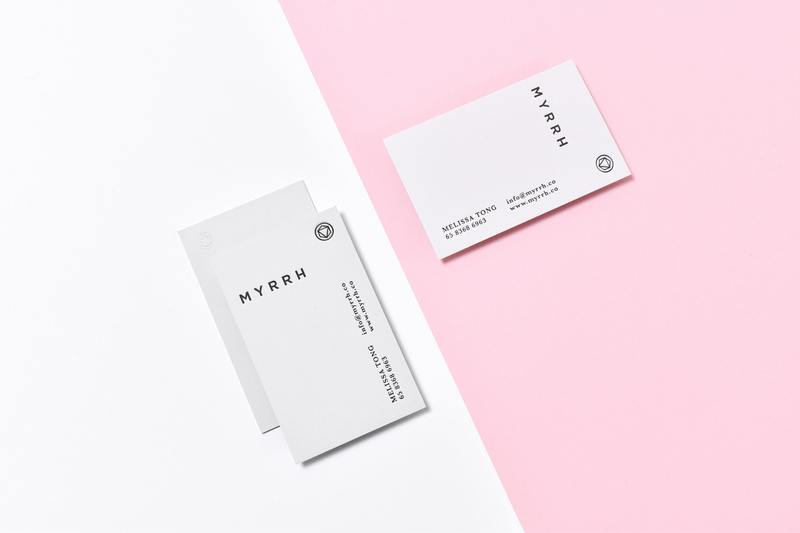 MYRRH takes reference from ‘myrrh’, a natural gum resin extracted from the Commiphora africana tree - commonly known as the African myrrh, that can be found across various parts of Africa, and is widely used for its medicinal and healing properties. 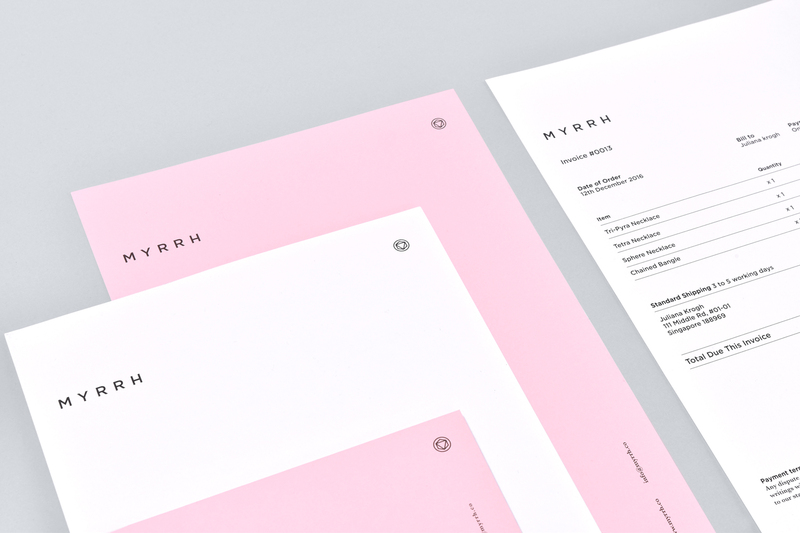 Myrrh resin, when harvested, turns hard and glossy, taking on a visual property similar to that of a rock. 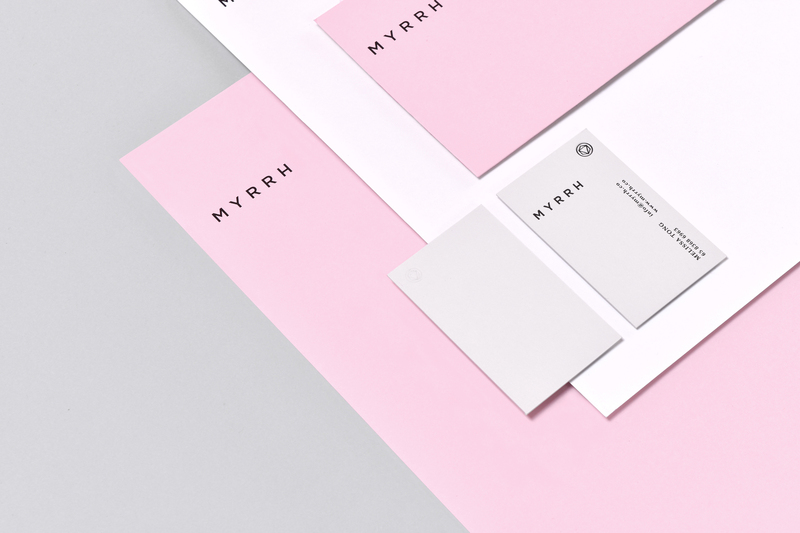 Since MYRRH as a label embodies the traits of feminine strength and resilience, we without doubt, find these traits to be of unsurprising co-relation to the physical characteristics of rocks. 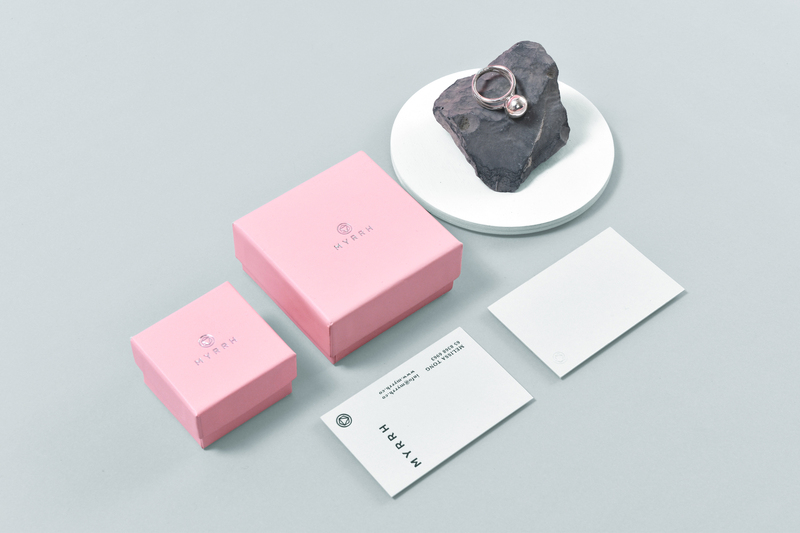 With such clear communicative ties, we decided to make the connection by designing the logo with reference to a hard-edged mineral rock, using geometrical shapes to depict its form. 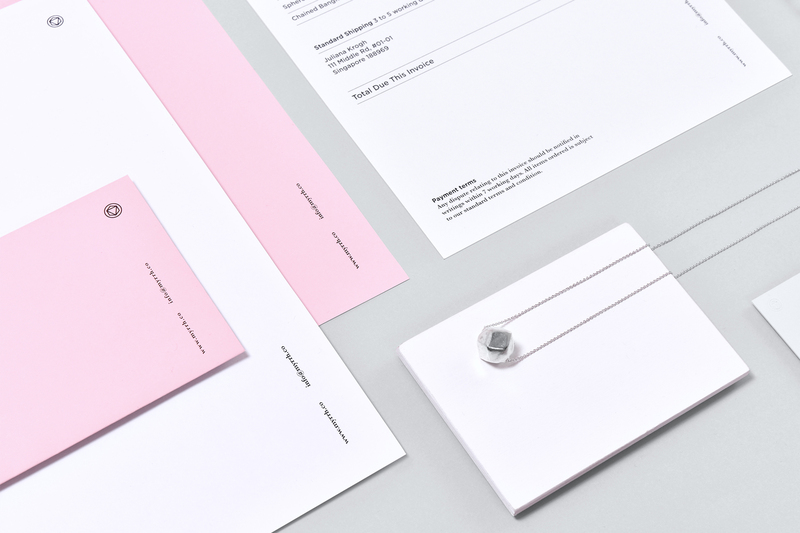 A part from the label’s values, what was also communicated above all, was an intuitive yet stable mindset, and we decided that it was best expressed with a circle. 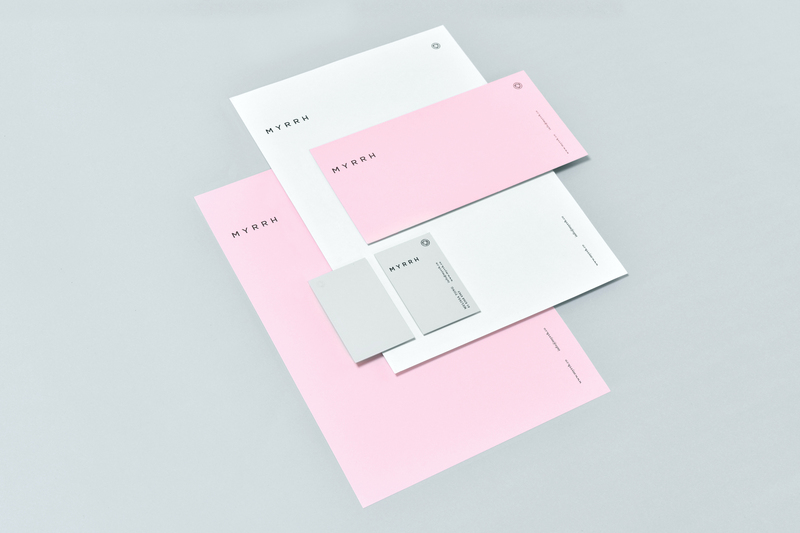 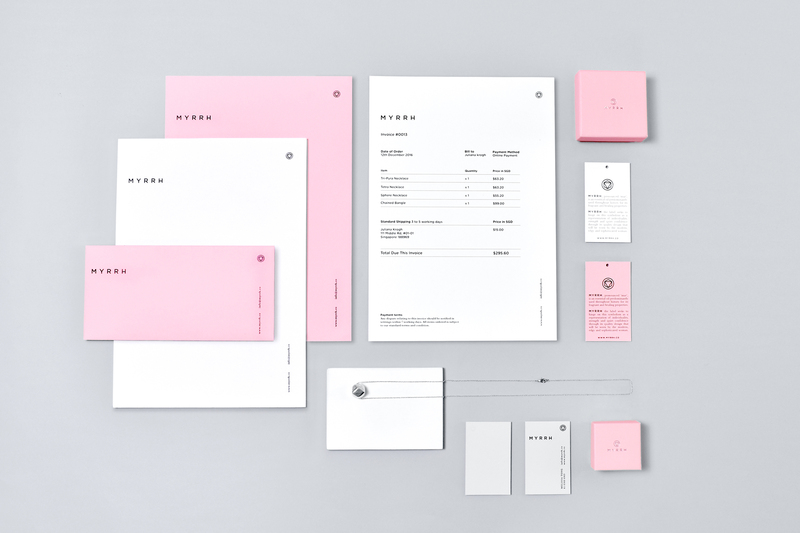 To bring attention to the label’s personality, we chose a sans serif typeface for the main brand identity to accentuate the qualities of a stylish and modern woman while pairing it with a serif typeface - set against a subtle shade of pastel pink, to anchor and evoke the attributes of femininity, reliability and stability.